Here in the Nation’s Capital we are all spending a lot more time outside after a particularly cold winter. The long awaited sunshine has us all soaking up the sun, eagerly tending to our yards, hitting the parks, going for leisurely walks and bike rides once again. Winter’s blanket finally melted away to reveal the first glimpses of colour poking from the ground. Children stop to marvel and often return home with pockets overflowing from found items – or what could be considered nature’s little gifts to these natural collectors. As caregivers and parents we can use a child’s natural curiosity to extend their learning even further. Sensory: Place your treasure hunt items into a sensory/discovery bin or a bottle with water to create an eye spy bottle. Place items into a heavy-duty Ziploc bag with clear hair gel and strong tape. Then tape to a window to create a sensory sun-catcher. Crafts: Provide loose parts and craft supplies for children to create open-ended art. Items can include pinecones, acorns, feathers, stones, sticks, glue, paint, googly eyes, small pom-poms, and even dough for endless possibilities. Salt (or Cornstarch) Dough Pendants and Key Chains: Press items with texture into small round pieces of dough. Press a hole into it and let dry. Tie string to the pendant for hanging. Collage: Glue items to paper to create a collage. Or stick them to mac tac to create a window sun catcher. 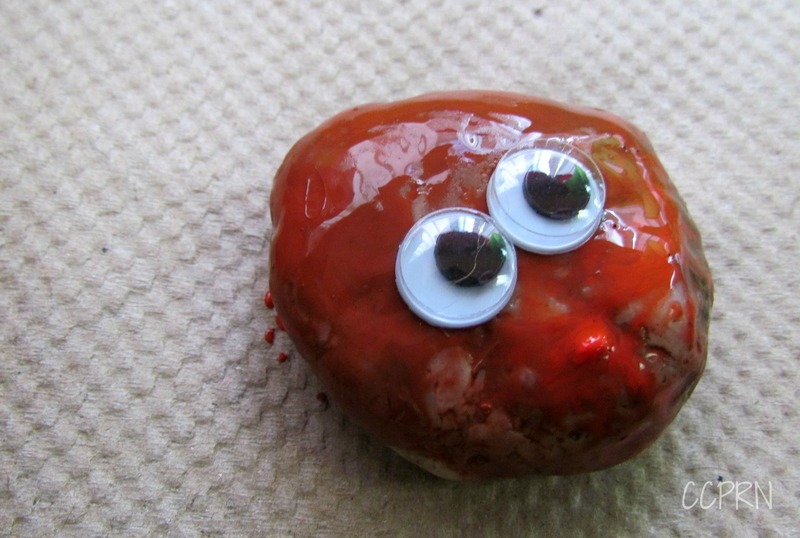 Art: Create pet rocks by painting them and adding googly eyes. Glue pressed flowers to the rocks for a gift for Mom. Literacy: Create story stones by gluing images to the rocks to guide storytelling. Paint the letters of the alphabet onto each stone. *Optional: Paint one side in uppercase letters and lowercase on the opposite side OR paint one set of rocks in uppercase letters and one set in lowercase for the children to match. Numeracy: Paint rocks for counting or patterning games. Leaf Sun Catcher: Sandwich leaves between two layers of mac tac and place in a window. This can be done with flowers as well. 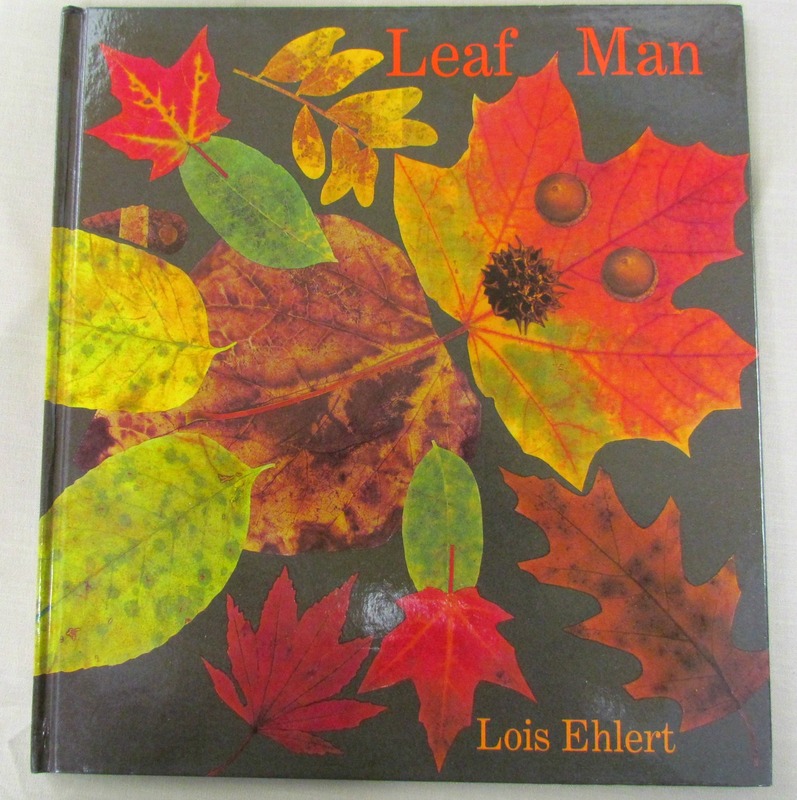 Collage: Glue leaves to a page to create a picture or collage. Colour Matching Game: Separate acorn nuts from their cups and paint them in matching colours. Young children can match them by colour. Classification: Paint acorns in various colours for children to sort by colour or create patterns with. Add tongs for more challenging fine motor practice. Rhythm Sticks: Paint thick sticks in bright colours to make your own music sticks to tap together. 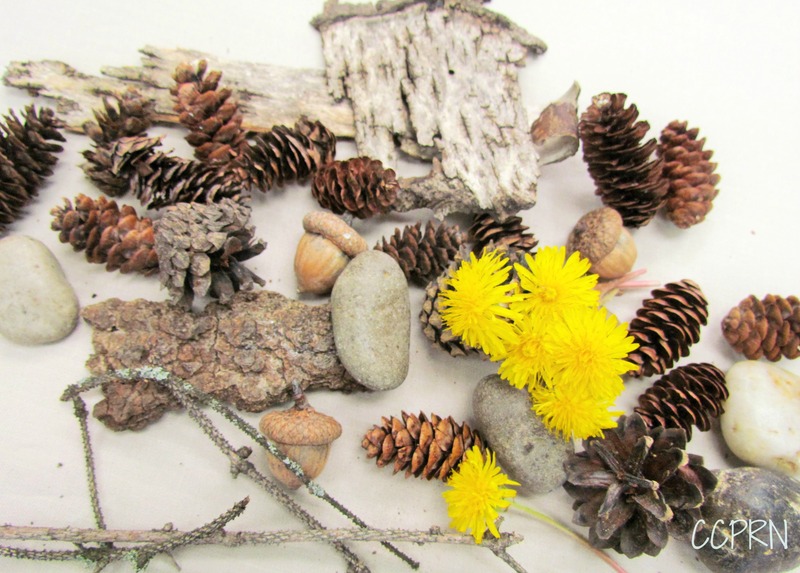 Mobile: Create a nature-themed mobile by hanging found treasures from a branch. Or decorate a branch with coloured feathers, ribbons, and yarn to hang in your playroom. 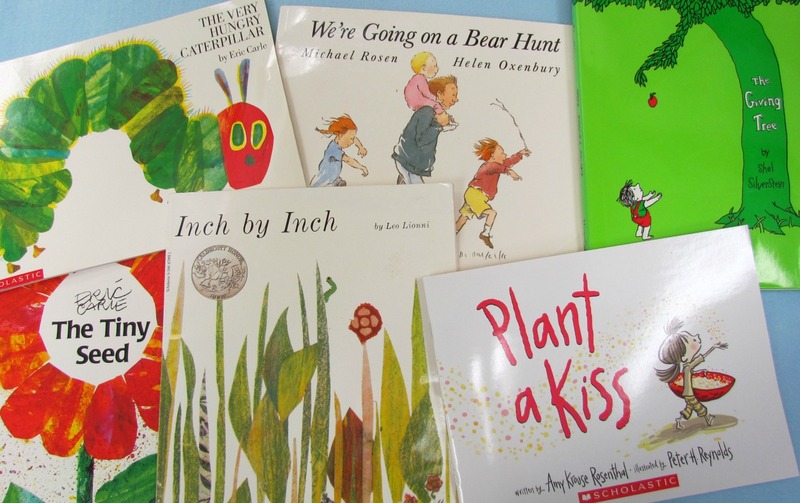 Or how about the old classic Fairy Tale: Jack and the Beanstock! For more information on bringing nature into your daycare, check out our Getting Back to Nature, post. Thanks for reading! Fall is the perfect time of year to celebrate nature and all of its glory. Many of us head outdoors to savour Autumn’s colours and the remaining days of sun before the really cold weather moves in. 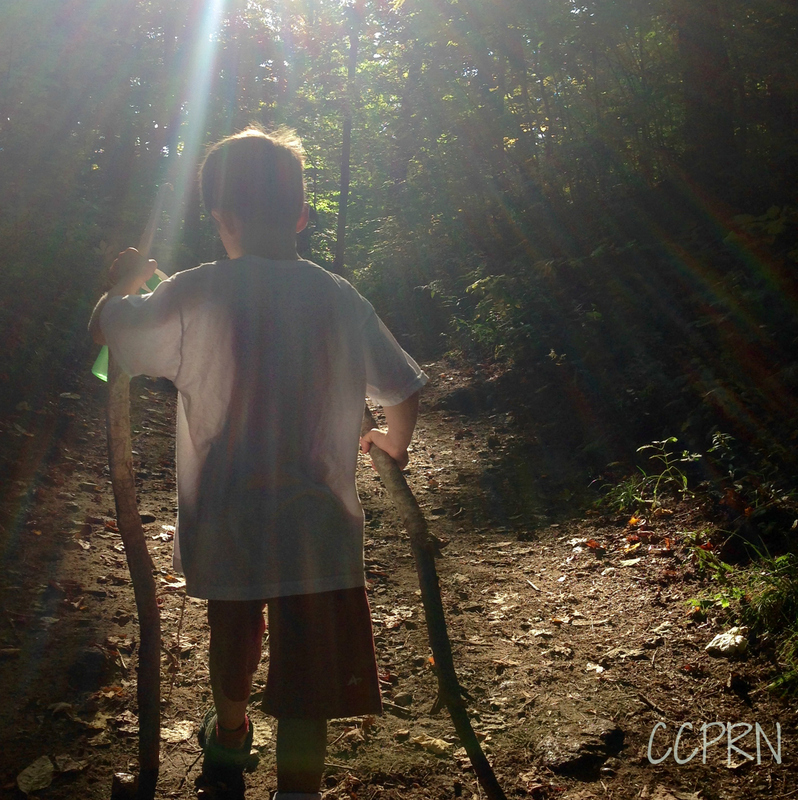 But what if we allowed our children the gift of nature every day – rain or shine? Even in the cold and snow. What would happen if our kids played freely in the forest, the meadow or the walking trail and witnessed each season’s changes first hand – up close and personal? My colleagues and I recently had the opportunity to attend a Nature and Early Learning Conference with keynote speaker Marlene Power, Executive Director of Forest School Canada to answer those questions. During the conference, each one of us was taken back to that magical sense of wonder we experienced in nature as children. When kids are exposed to and become familiar with natural settings, they form connections that reap immeasurable benefits. Repeated exposure to that environment allows them to build a relationship with nature – connecting them to something greater than themselves. 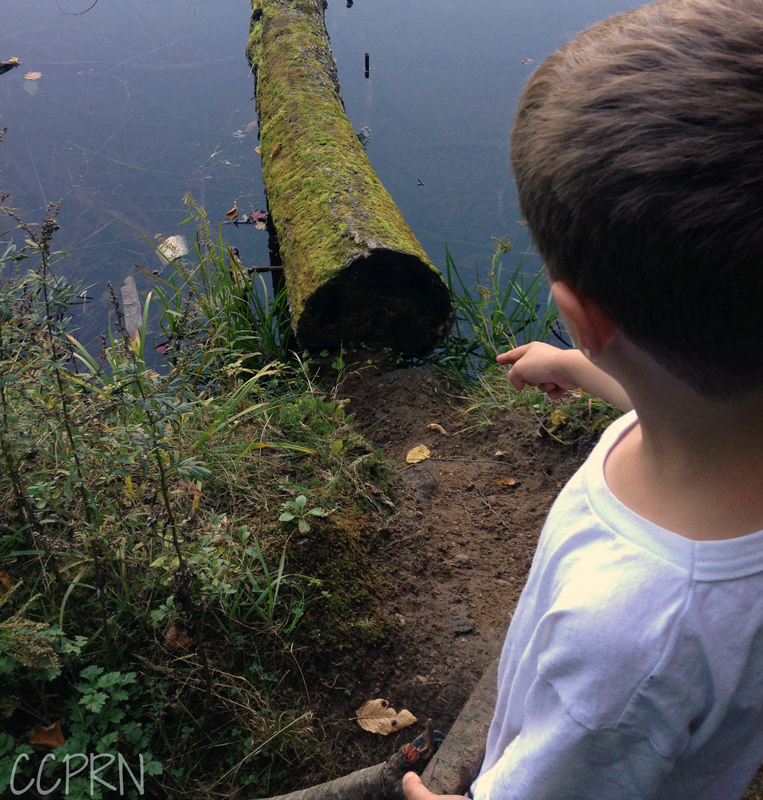 Natural spaces foster a sense of adventure, discovery, and wonder in all of us – but especially children. Outdoor play becomes about imagination, collaboration, dialogue and children directing their own learning process (emergent curriculum). At the forest and nature school here in Ottawa, children are encouraged to play freely outside, in a natural setting. They learn to navigate varied terrains, in all different kinds of weather. They develop a respect for nature and learn to map out their understanding of the forest. Other interesting observations from the Forest School is that outside, skills and abilities become more important, leaving materialism and social hierarchies with less currency. Imaginations take over and the children reinvent uses for found items. The ideas, physical skills and stamina developed from spending time in the forest enhance feelings of competency and esteem in the children attending. ~ Taken from Forest School Canada’s website. Children can interact with nature inside too. Consider bringing the outdoors in for even more benefits! 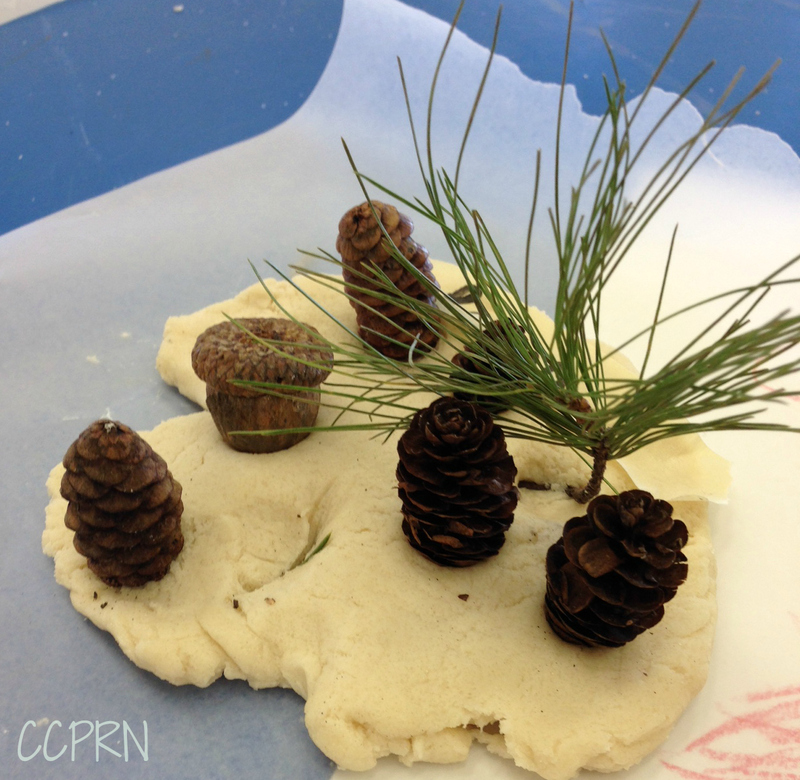 Here toddlers and preschoolers added found treasures to salt dough for an open-ended art activity.